This years William Howard school's mountain bike challenge was to attempt to ride a route at every 7 Stanes Mountain Bike Trail Centre in 24 hours. The plan was to start with 24 riders at Newcastleton then onto Glentress, over to Ae, then Glentrool followed by Kirroughtree, Dalbeattie and then finish at Mabie. The team were ready to go even though the weather was not typically June! The plan at Newcastleton was to ride all of the Red route. The 24 riders were split into 3 groups ensuring that all students were able to ride the route that was within their capabilities. Riders ranged from 12 years old to 18. Last minute preparations were underway before the clock was started just before mid day. Timings had been worked out and there was not going to be many minutes to spare! All back safely it was time to load the bikes back on the trailer and move onto Glentress. All riders in good spirits and ready for the next route. The plan at Glentress was for 2 of the groups to ride from the centre to the top of Spooky Wood before taking the super highway over to Berm Baby Berm and the blue descent back to the start. 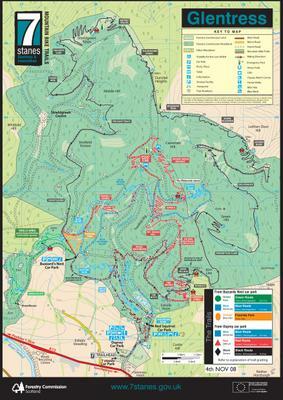 The 3rd group would have a lift to the top car park and ride the same route with all the groups meeting at the top of Spooky Wood. 2 snapped chains, 2 punctures and many midge bites later we were back in the car park having tea, expertly prepared by Cym, Aly and Nigel. All in great spirits having ridden arguably one of the best man made trails in the country! Once everyone had eaten their Spag Bol and had enough tea and cake it was time to move out and travel to Ae forest. We were due to arrive at Ae about 21.00. The light was just about enough to get around Ae forest with a few little challenges of not using the lights through the darkest sections thrown in for good measure! An easy amble around the blue soon ended with another cuppa and cake before packing up to take on Glentrool just after midnight! It was certainly dark when we arrived to ride the blue at Glentrool! It is always an exciting sight to see 24 sets of lights travelling through the forest! The work that has been done at Glentrool has made it an exciting ride especially the berms towards the end! It was now approaching 2 oclock in the morning and spirits were still high with many encouraging Tweets from the school community! Soon back at the bus it was time to travel the short distance to Kirroughtree. The plan once again was to ride the blue route which in itself does have the odd surprise thrown in making it a good challenge! We were entering the early hours of the morning and there were a few tired riders but all still very much motivated to get back on the bike! The end of Kirroughtree was ridden in the dawn light and this helped lift tired spirits and spur everyone on to Dalbeattie. The blue route at Dalbeattie is not by any means very inspiring but this was the choice of route given the time, group and challenge! The group continued with many Ogi Ogi Ogi's to check everyone was awake and has since become a club tradition! Back in the car park the support crew had bacon butties ready to serve with a cup of well earned tea! The team were now all psyched to finish the challenge. We had been going for just under 22 hours and although not optimistic about finishing in the 24 hour time limit it was now about getting to the end! The final trail was going to be a challenge. 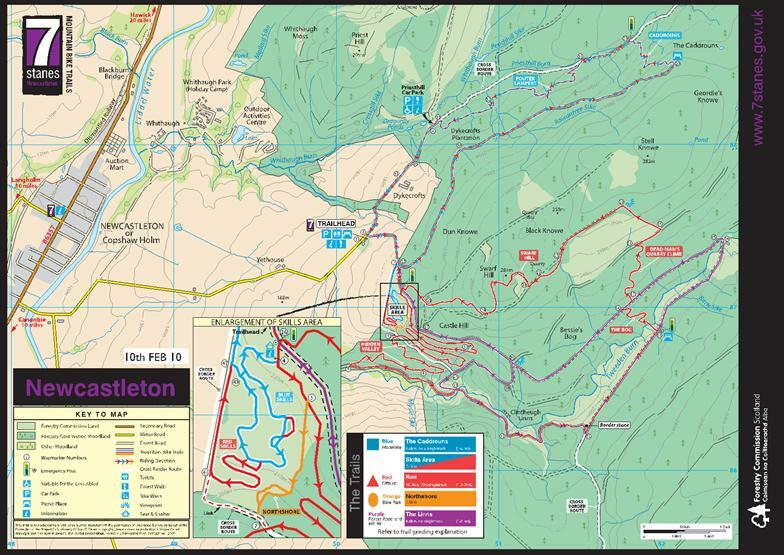 Mabie red route is a good ride without having ridden the other 6 trail centres with no sleep! Tired but determined riders left the car park ready to finish what they had started. The group could see the end in sight and were determined not to let tiredness win! Riding back into the car park there was a welcoming committee of parents and support crew. The emotion was very similar to when we had finished the coast to coast and all the hard work and effort had been worth it! The team had raised over £1000 for Eden Valley Hospice as well as money for the Alps Cycling Trip that they were due to go on the following weekend!